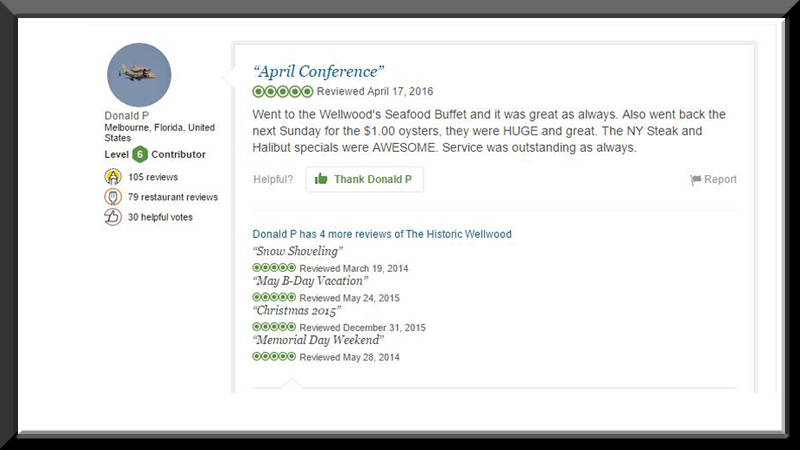 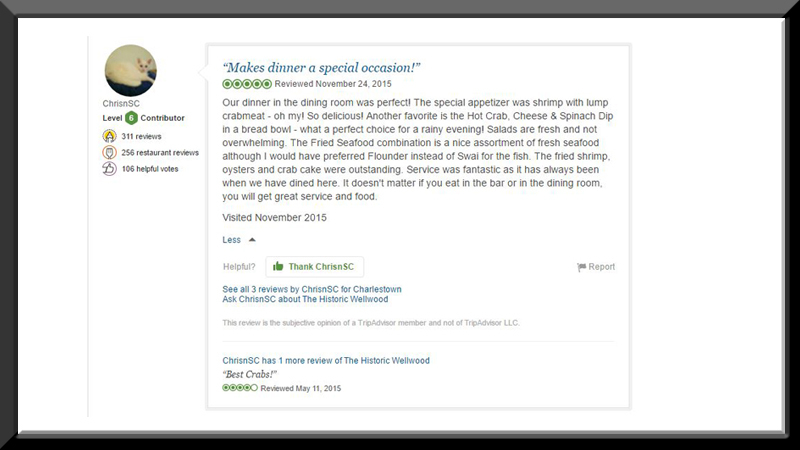 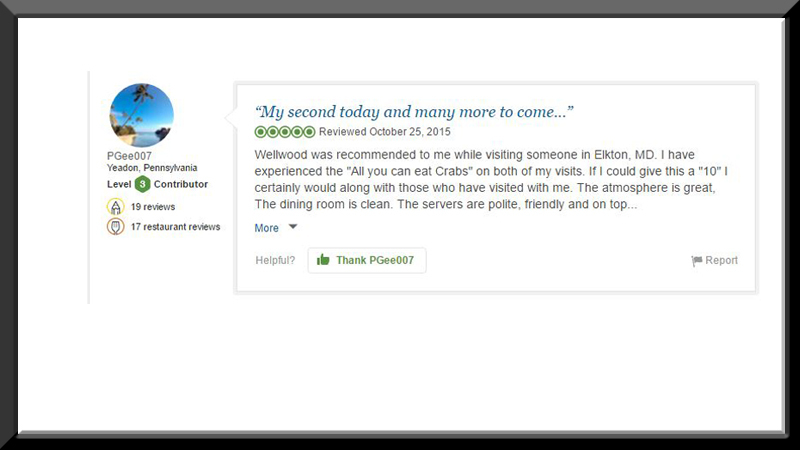 The Wellwood Club – Full-Service Restaurant; Seafood, Crabs, Steak, Chicken and More! 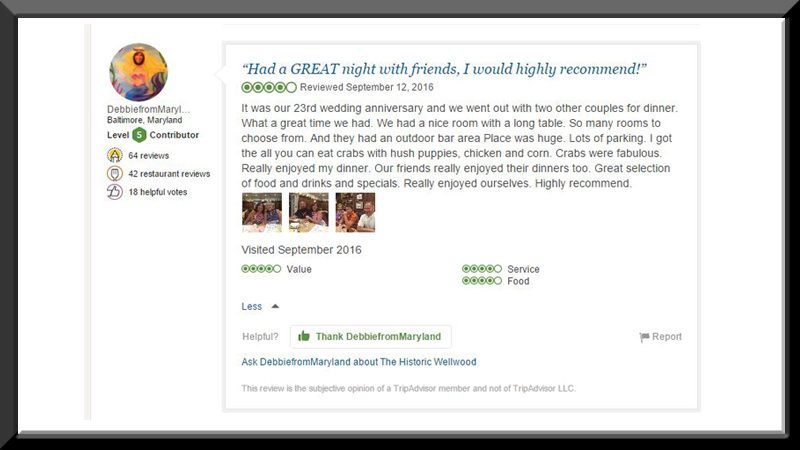 Located in Historic Charlestown, Maryland. 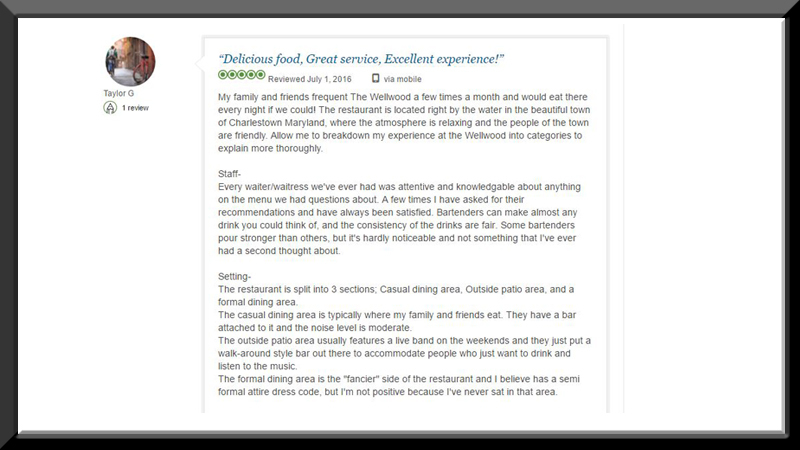 The Wellwood is a convenient weekend or mid week getaway within 1 hour of Baltimore and Philadelphia, and 45 minutes from Wilmington. 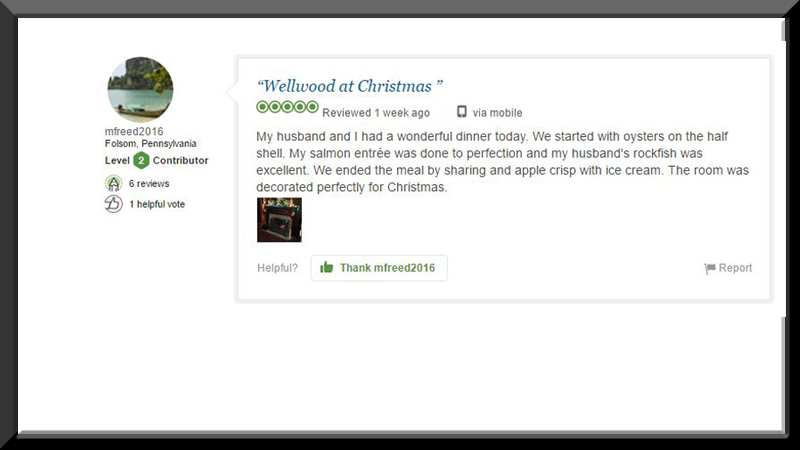 Owned by the Metz family for over 50 years, The Wellwood offers our guests three guest unique seating areas to enjoy – an experience for every taste! 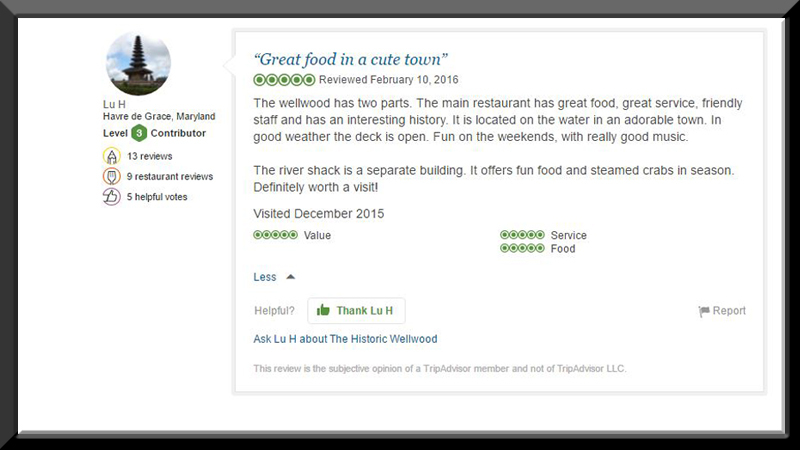 The Historic Wellwood, a beautiful water view venue, delivers elegant dining for weeknights, weekends, special occasions, and more. 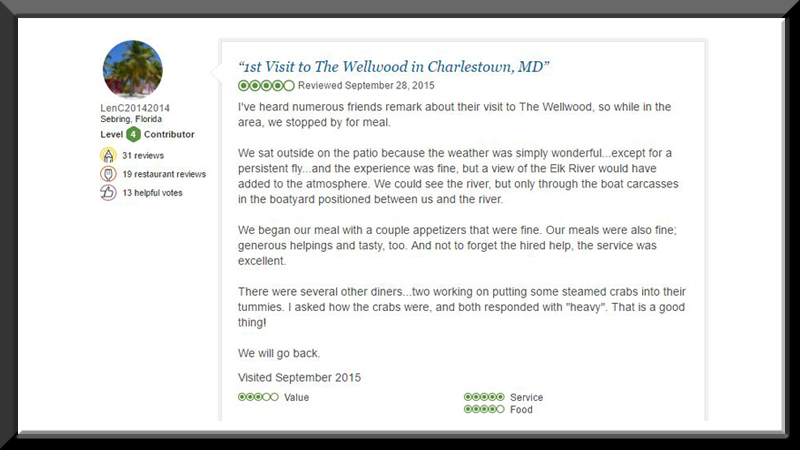 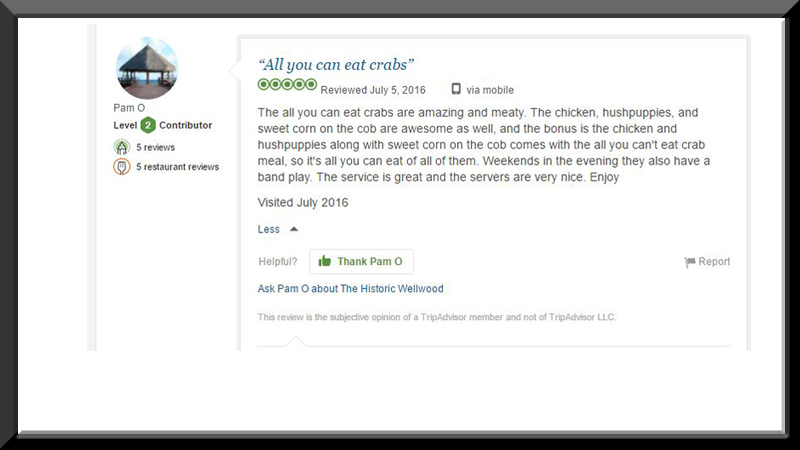 At the Historic Wellwood in Maryland, we serve crabs all year long. 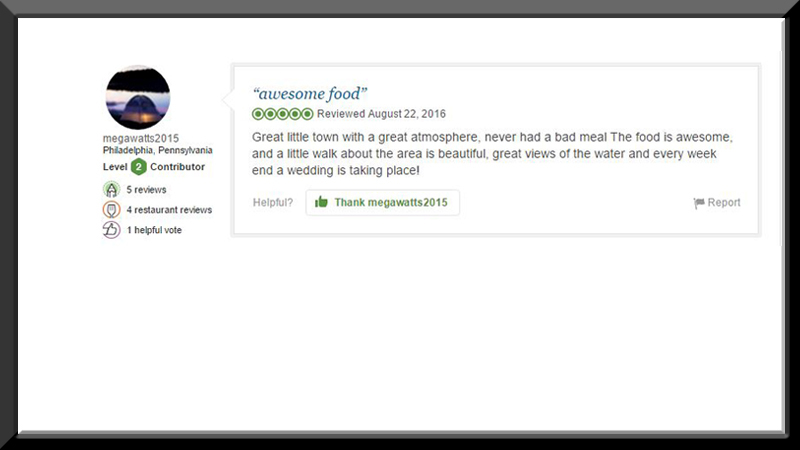 We also host bridal and baby showers, class and family reunions, business meetings and banquets, holiday gatherings, bar and bat mitzvahs, retirement and anniversary parties, and more. 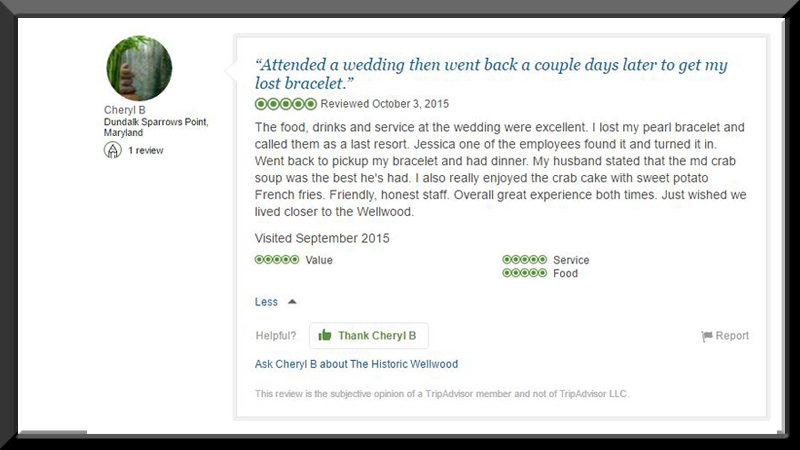 No matter what celebration brings you together, let our dedicated staff make it an experience you'll treasure. 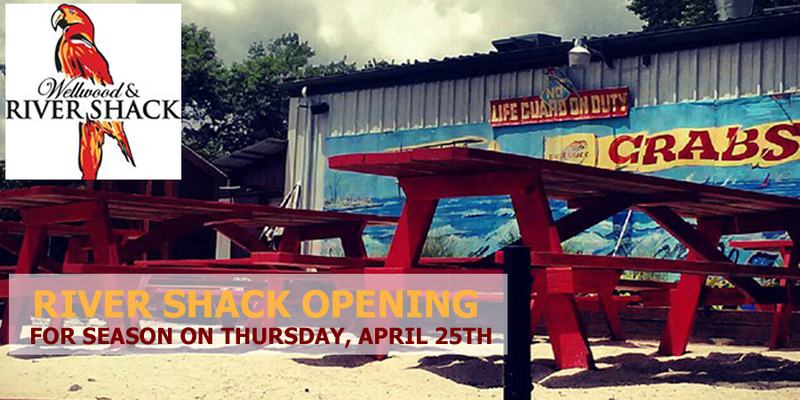 Don't miss The River Shack, where you can put your toes in the sand at the Shack beach. 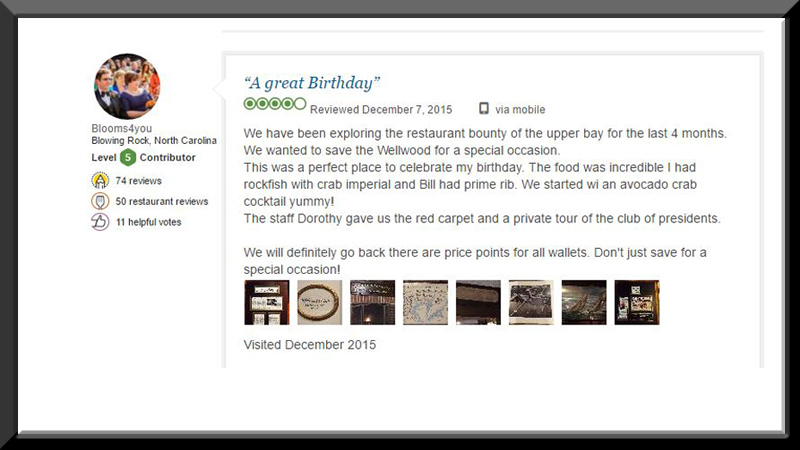 The River Shack has been cheerfully described as the 'ideal hidden local spot' and a 'crab hunter's dream come true'. 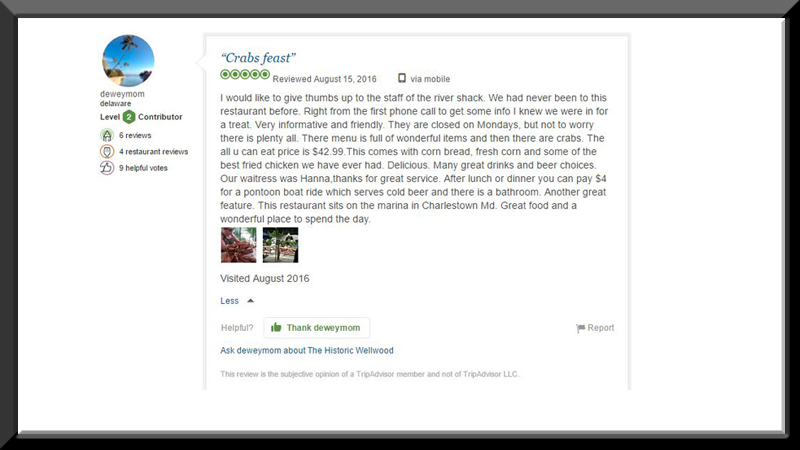 It is open during the warmer months, May through October. 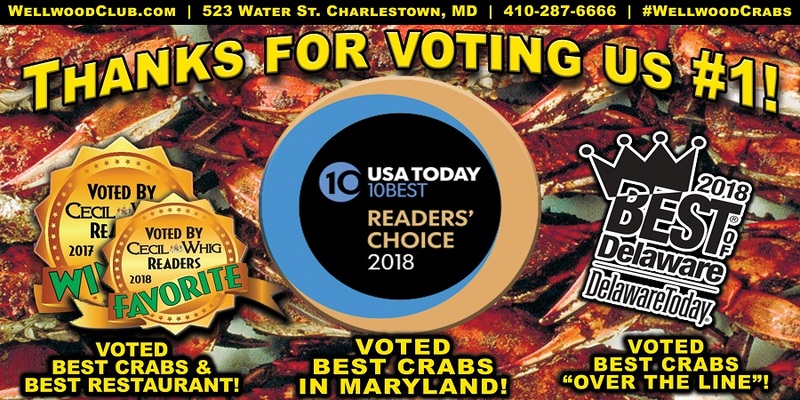 The River Shack is our 'traditional Maryland Crab House atmosphere' featuring steamed crab specials and famous fried chicken. 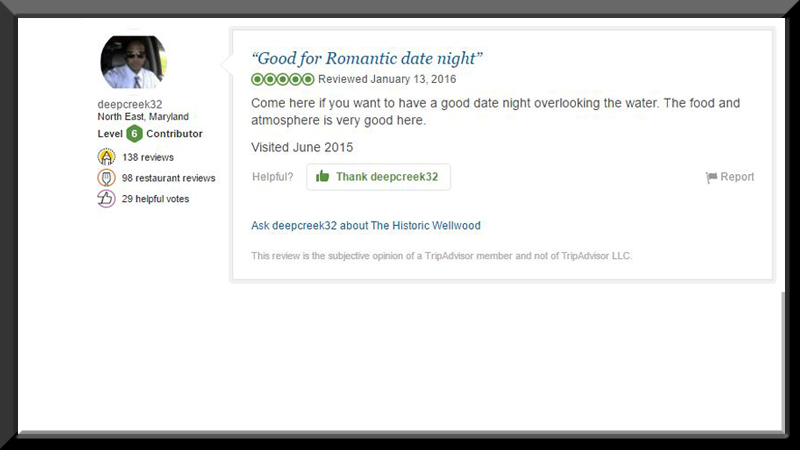 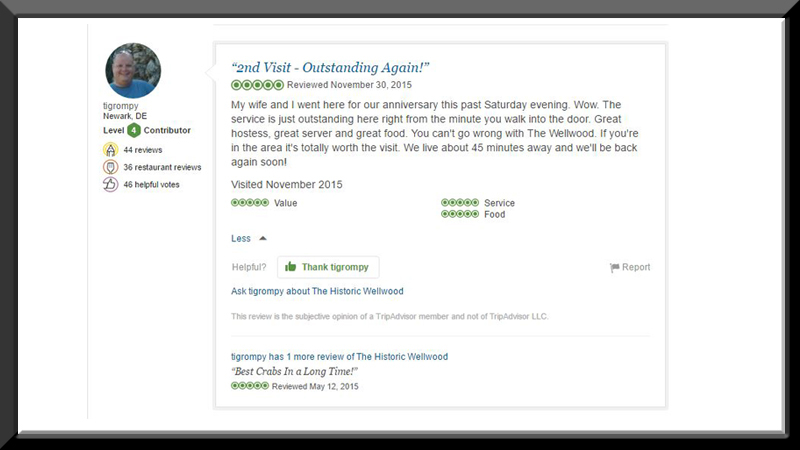 It's a great place when you want a delicious meal without the fine dining setting. 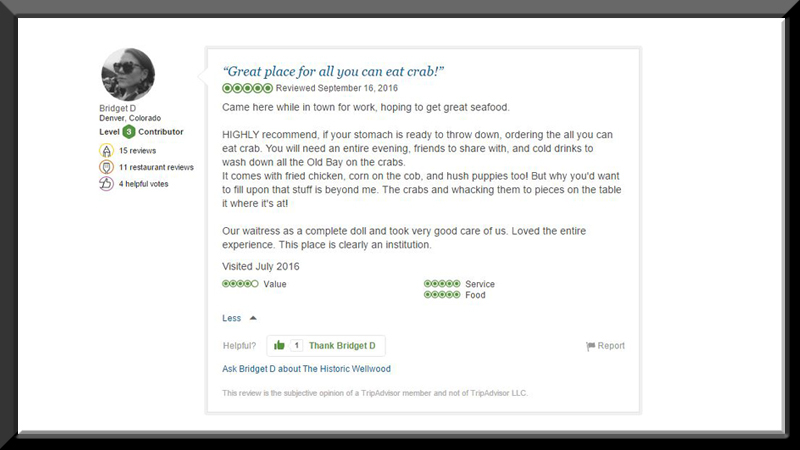 Watch for our "All You Can Eat" crab specials!